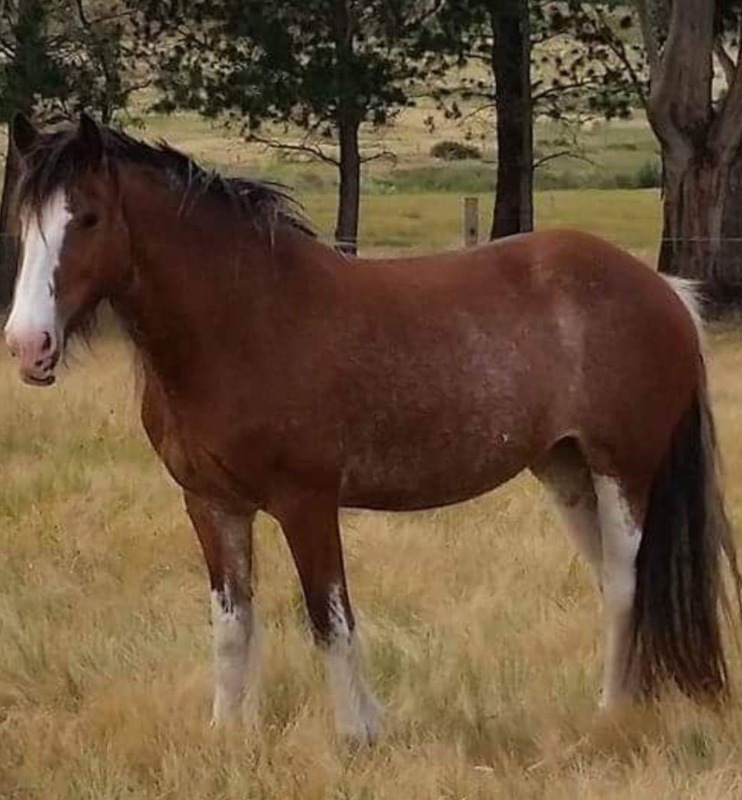 Bonnie is 1/2 Clydesdale 1/2 Quarterhorse and was born in 2008. Bonnie was broken to cart and shown at the Sydney Royals but unfortunately had an accident in the cart and got trapped. She now gets very stressed with any gear on her. Easy to handle, just any gear on her back stresses her out. For that reason she is broodmares only. Throws beautiful foals. 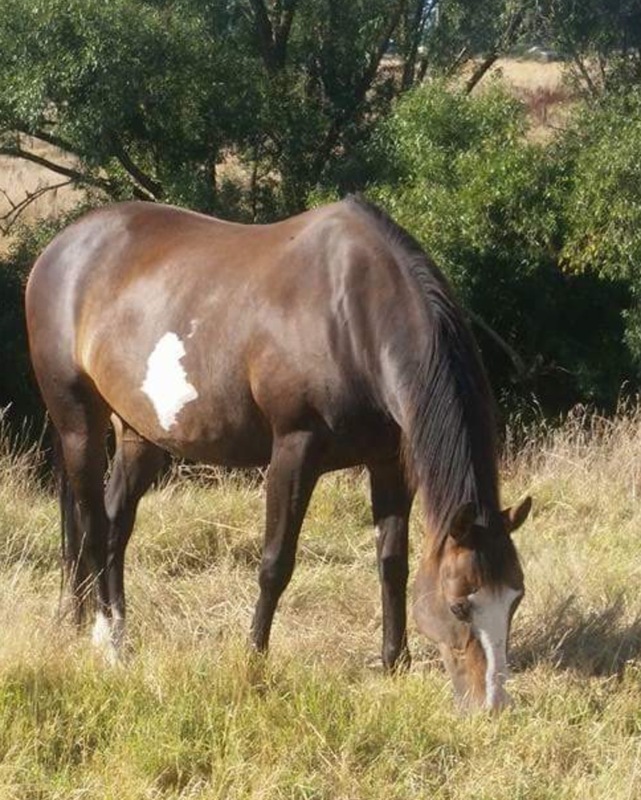 Indi was born in 2011 and is 1/2 Paint, 1/2 Thoroughbred by one of our brood ares Scout. Indi has been lent to us for the season and we look forward to seeing what her mating with Caesar brings. Photo’s to follow. January is a straight coated 1/8th Black Curly filly. She was given to us by Emily McVeigh and she has been put to Caesar for a late 2017 foal. Photo’s to follow. 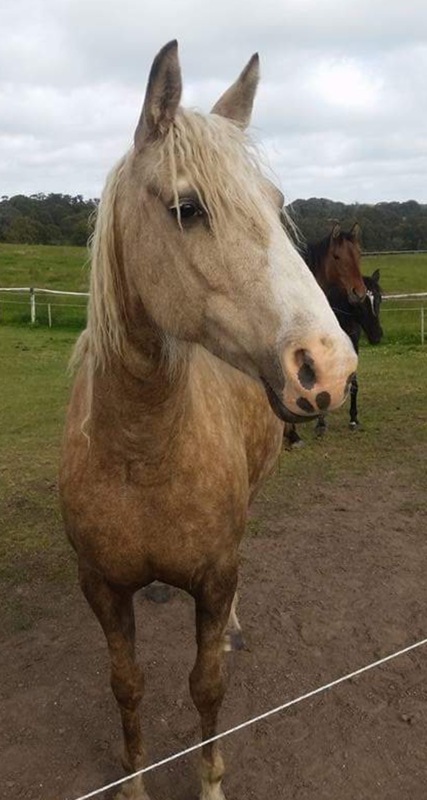 Bella is a lovely curly coated Palomino mare born 4th November, 2006. We purchased Bella in late 2016. Bella is 1/2 Curly, 1/2 Quarterhorse. Bella was put to Caesar for a late 2017 foal. Photo’s to follow. Milly was bred by us in 2009. She is 1/2 Waler, 1/2 Thoroughbred. She is registered part Waler. Milly is not for sale. Willow was born in 2007. She is unregistered but branded. Willow was broken in but has been used as a broodmares the last 4 years and throws great Clydie sporthorse type foals. Zena Curly Filly Born 11th December, 2010 This little filly came a few days early and I missed her birth.. She is from my Stockhorse mare Tabby (see Mares section) and of course out of Curly Stallion Sandmans Magic…. What a beautiful colour she came out… Dunskin…and so friendly. has had one foal to Moony and is due early December to Cremello Quarterhorse Cream Em Charlie. Jewels is a rising 4yo Cremello Stockhorse x QH. Klancii our stockhorse mare is her dam and her sire is Slide Mia Peppy. I really love Jewels and can’t wait for her first foal in late 2014. Being a cremello and put to Moony (Smoky Grullo) the foal will have a creme gene no matter what. 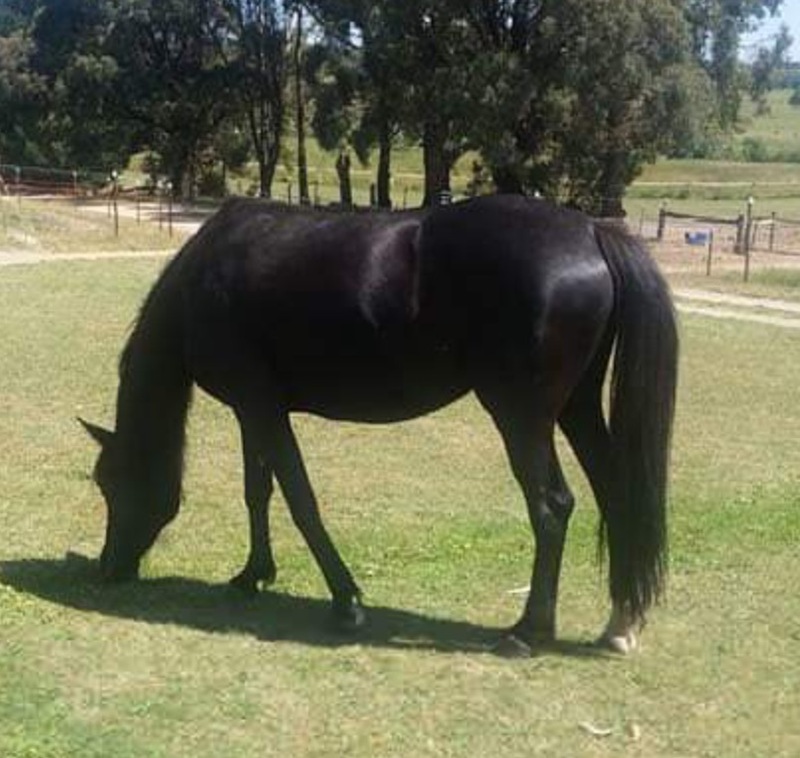 Twister is a 14.3hh QH Mare “Olena Royal Twister” Twister was confirmed in foal for a November 2013 foal but unfortunately slipped her foal early on in the pregnancy. She got in foal again to Moony in 2013 and has foaled a gorgeous grullo filly. 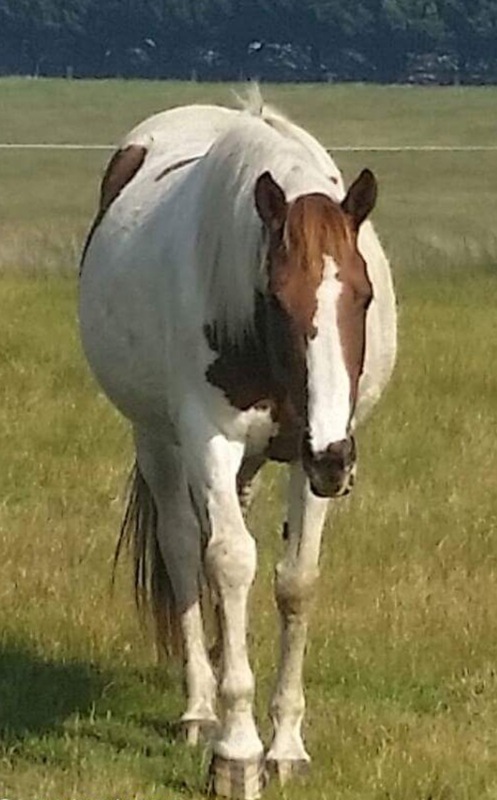 Twister is a really nicely put together QH and she has been put to Caesar for an October 2018 foal. 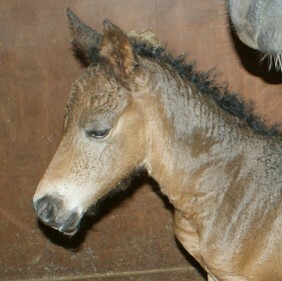 Aphrodite Curly Filly Born 12th January, 2011. A gorgeous little bay filly out of our mare Meg – Freckles Sandstorm (see mares page). 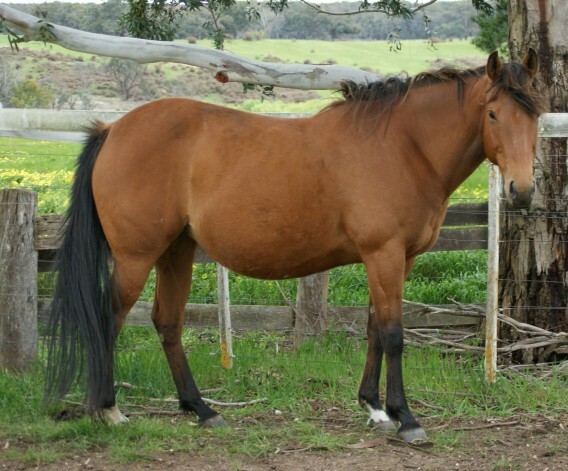 Aphrodite was also foaled down at Rosehill Veterinary (www.rosehillharness.com.au). Again thanks to Anne and Darren Jacobsen for their care and expertise. Aphrodite seems to have the tighest curls of all the foals so we will she how she develops over the next few weeks. These photo’s of her are when she is just a few hours old. 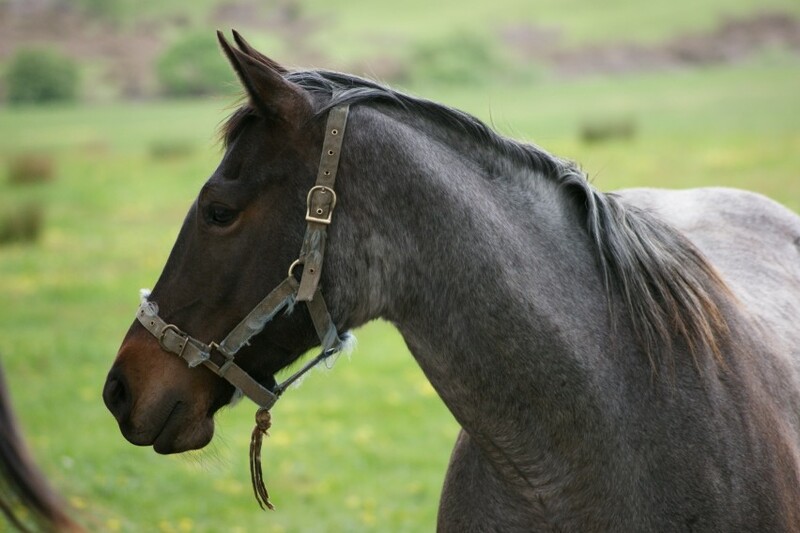 Blue Bay Roan QH – Crackin Blue E Fex 9 years old 14.3hh Blue had her first curly foal for us in November 2013. Tabby Stockhorse (unregistered) 13 years old 15.2hh Tabby foaled in December, 2010 with our second curly foal. 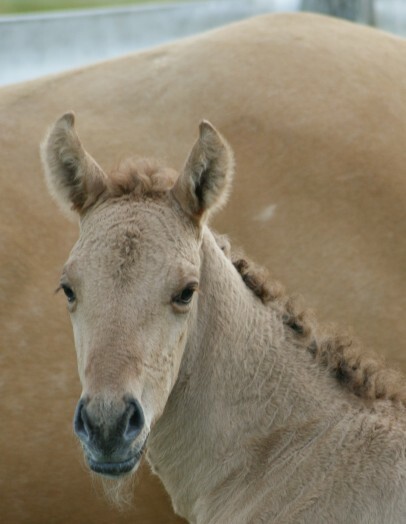 A filly (Zena) was born a beautiful dunskin – see mares page. 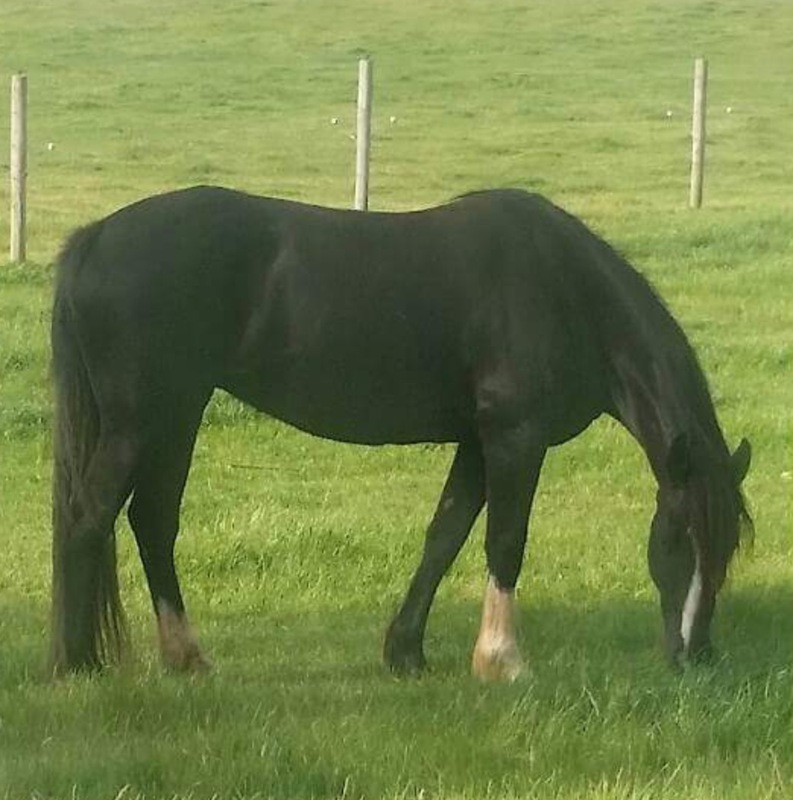 Tabby was my riding mare and has a very gentle nature and we are thrilled with her foals.